Break Front Console In Weathered Grey With Ivory Accents. Open-carved Doors Are Backed In Light Tan Linen, Enclosing Three Adjustable Shelves. 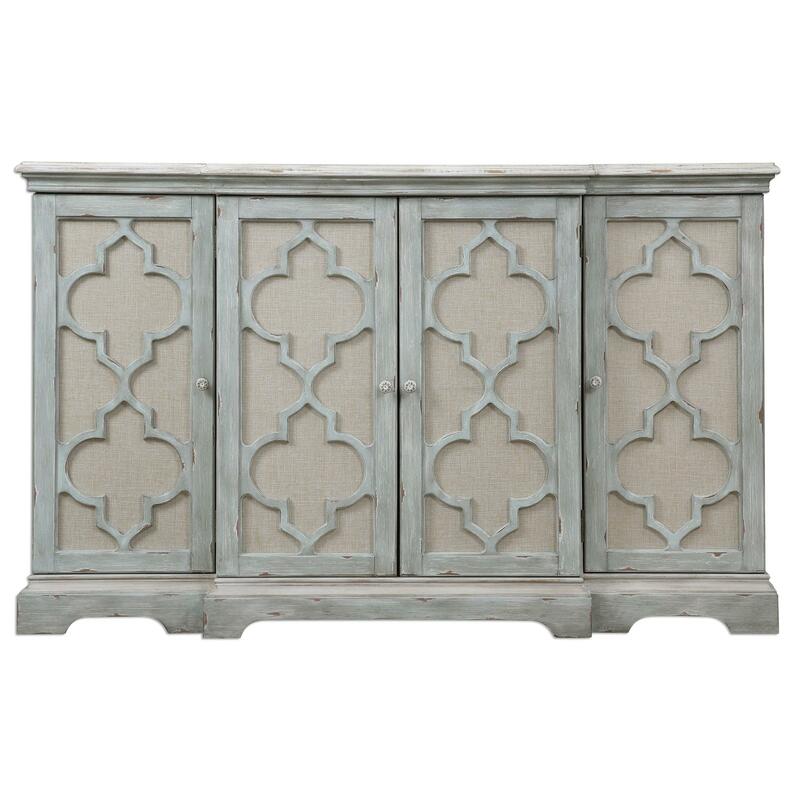 The Accent Furniture - Chests Sophie 4 Door Grey Cabinet by Uttermost at Miskelly Furniture in the Jackson, Pearl, Madison, Ridgeland, Flowood Mississippi area. Product availability may vary. Contact us for the most current availability on this product.